This summer I’ll be touring the south promoting Money Matters: The Get It Done in 1 Minute Workbook. Thankfully, I have been able to connect with Cryus Webb at Conversations Book Club in MS. Cyrus is doing great work around reading. Please connect with him on Facebook. Come on out and say, “hi”. You can also buy your book early and come with questions to the Meet & Greets. Find out if Shay is visiting your state here. Don’t see your state, school, or book club listed? Invite Shay to visit your group by calling (323) 596-1843. Take a gander at these puppies. I say that everyone needs to have a spending plan and there’s nothing like having your personal finance information at your fingertips. Using this app is a small change that will make a huge difference in your personal finance outlook… if you use it. I say it’s an easy way to help you find out which buy is the best deal. Who knows if the $2 can at 16 oz. is a better buy than the $2.30 can at the 20 oz.? The Compare Me Shopping Utility knows. I say this is a must have tool. When you’re out shopping and think, “i’ll put it on my credit card” this handy dandy tool will be there to help you find the true cost of those purchases. Small purchases really add up and effect your credit. I say it’s a great way to monitor your accounts on the go. The days of sitting at home balancing your checkbook are long gone for most of us. 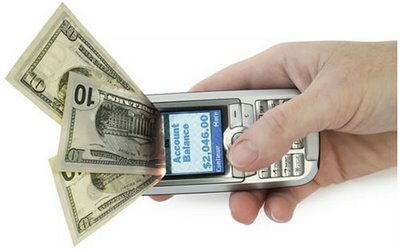 Why not have access to your accounts 24 hours a day, so you don’t end up with overdraft fees. Be honest… you know you take your phone everywhere you go. Now, you’ll have your personal finance information as close your music playlists! I say it’s a great free app that helps you toy around with financial market information. If you’d like to know more about stocks and how they work why not download an app from one of the most trusted financial sites in the world. Get this, it also comes in Chinese, French, German, Italian, Japanese, Korean, Polish, Portuguese, Spanish, Ukrainian. Nice! What apps do you use for personal finance? You can help stop modern day slavery. Small changes make a big difference. When the visitor steps out of the truck he sees a panel which gets to the heart of CIW’s analysis around modern slavery–that it’s not something that takes place in a vacuum, but it’s tied to the broader conditions in the agriculture industry–sub-poverty wages and substandard working conditions; from the earliest days of slavery through today, farmworkers in Florida are among the least paid and least protected workers in the nation. On the panel are two artifacts to drive home that message: the bloody shirt of a 17-year old boy who was beaten in 1996 for stopping to take a drink of water while working in Immokalee. 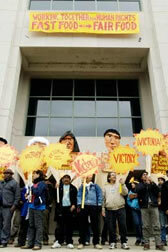 In response, there was a nighttime march by 400 workers to the crew leader’s house. This was a significant moment in CIW’s history because that kind of violence was routine and never received a widespread organized response. So now it’s okay to use people as slaves as long as those that are working those in slavery are compensated with a fair market price? Come on, that’s ridiculous. I’m glad that the Coalition for Immokalee Workers has put together a traveling museum to highlight the cases of abuse and help put a stop to forced labor. What does this have to do with personal finance? Everything! We all say that we want access to affordable goods so that we can keep our families in a measurable state of comfort, however too often we don’t think about what’s being done to provide those services and products at that low price. Are you willing to contribute to the enslavement of others in order to have tacos and burritos that are a few cents cheaper? Write to Publix, Chipotle, etc. and tell them that we WILL NOT contribute to the enslavement of any people. This Saturday, April 3rd I’ll be signing copies of Money Matters: The Get It Done in 1 Minute Workbook. Come by between 2pm – 4pm. Youth development speaker and author Shay Olivarria will discuss the 5 things we should be doing now to master our money. 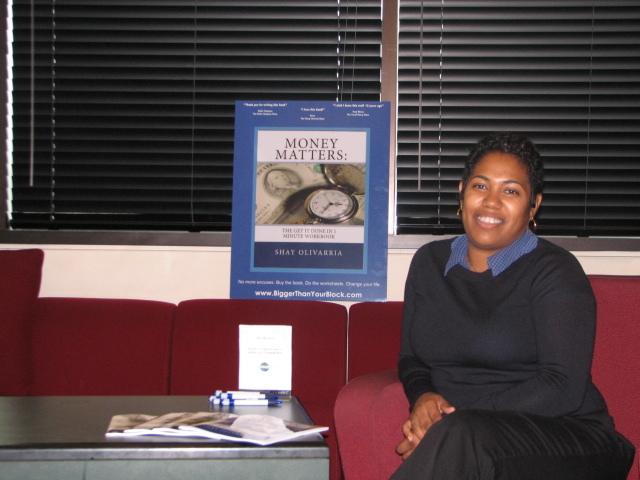 Lecture will be followed by a Q & A session and book signing for Money Matters: The Get It Done in 1 Minute Workbook. This free event should not be missed. Zahra’s Books N Things in Inglewood from 2pm – 4pm. Shay Olivarria has worked with Upward Bound, Orangewood Children’s Foundation, and several other youth organizations and universities. Her second book, “10 Things College Students Need to Know About Money” will be out May 2010. Books available online at: Amazon, Barnes & Nobles, and Powells. 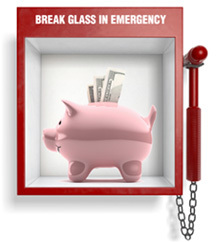 Choosing an emergency fund that will make your money work hard for you is a tough decision. This article on The Voluptua Project by Motivational Speaker and Financial Coach Shay Olivarria makes the decision a bit easier. Read the article here. Shay writes a monthly blog entitled The Money Curve: Lessons in Financial Intelligence with Shay Olivarria for The Voluptua Project. I’m often asked how old kids should be when you begin teaching them about financial literacy or what book children should read or what skills should be focused on. I think sometimes it seems like trying to teach kids about financial literacy is a huge task that some parents don’t want to do. Let’s make this simple: use everyday situations called “teachable moments” to instruct on what good habits are, encourage critical thinking conversations, and model those habits. Teachable moments are those opportunities that children provide by way of questions. You know, “Daddy, how does money get in the ATM” or, “Auntie, let’s stay in the hotel with the gold toilets, we’re rich, right”. We’ve all been there. Sometimes we’re too busy to sit down and have an intelligent conversation about these topics, but many times we have the opportunity to provide a valuable life lesson with just a few minutes worth of your time. During the conversation encourage the child/youth to think critically about what you’re saying, ask questions, and even challenge your wisdom. Only through a clear understanding, through their own process, can children begin to create their experiences with money. Have no doubt, that children are watching what you’re doing and viewing the habits of others to start deciding how they feel about money and money habits. Which leads me to the last, crucial, part of using teachable moments to help children understand financial literacy. After you’ve shared the correct habits/behaviors and encouraged the child to think critically about the topic, you must make an effort to model those habits. All the talking in the world won’t blind your child to what’s going on in the home. You don’t need to have a huge discussion with your child when they turn 16 or schedule weekly meetings to discuss the current state of events, unless you want to. Taking a few moments when you’re child provides and opportunity for a teachable moment will allay the stress surrounding money for both you and your child. I’m really looking forward to working with the Network of Empowered Women. 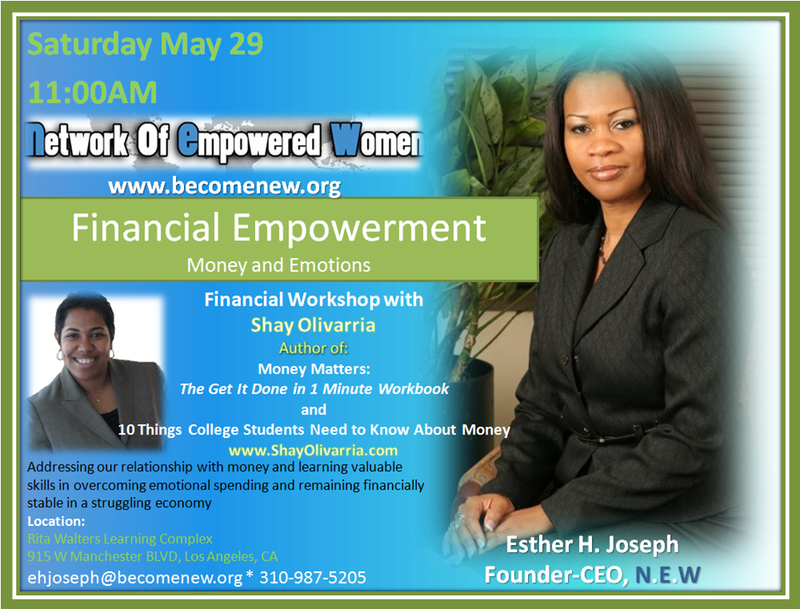 Join us Saturday, May 29th at the Rita Walters Learning Complex in Los Angeles for a timely discussion about healing your relationship with money. Order your copy of Money Matters: The Get It Done in 1 Minute Workbook before the workshop or pick up your copy on site. The audio companion to Money Matters will be available online soon.